For more than 30 years, Elliott Bros Husqvarna has been the leader in the sales and service of power equipment. 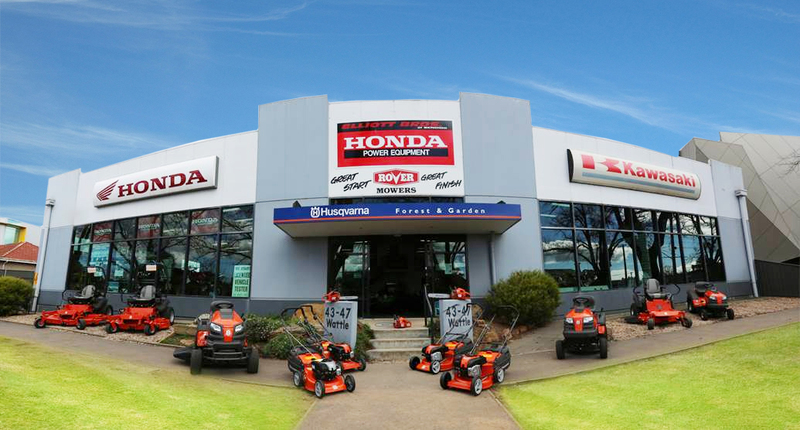 Located in Bendigo, Elliott Bros provide a variety of innovative outdoor and garden power equipment, stocking a wide range of authentic Husqvarna products. Our range includes tractor and zero turn ride on mowers, catcher lawn mowers, hedge trimmers, brush cutters and line trimmers, chainsaws, edgers, blowers and tillers. Elliott Bros is a certified servicing dealer for Husqvarna, providing extensive experience and expertise for repairs, servicing and maintenance for your equipment. As authorised Husqvarna dealer you are assured that our products have undergone rigorous safety and performance testing and are covered under warranty. We provide genuine Husqvarna parts, and offer guidance and support when you need us. Come in and speak to our experienced team about all your power equipment needs. Elliott Bros in Bendigo provides sales and service to all areas right across Central Victoria.